Your patients count on you to be up-to-date on the latest procedures and technology so that you can take the best possible care of their eyes. 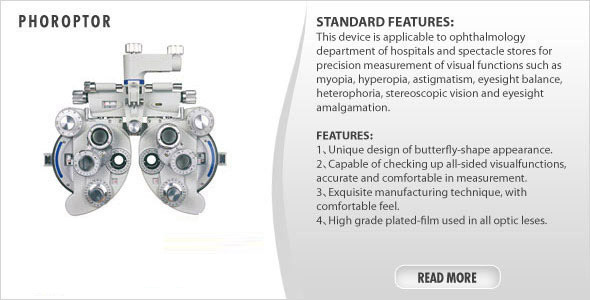 Shouldn't you have the same expectations for the company from which you purchase your ophthalmic equipment. With K & R Ophthalmic Service, you can get all of your necessary optometry equipment in one place, from a company you can trust. 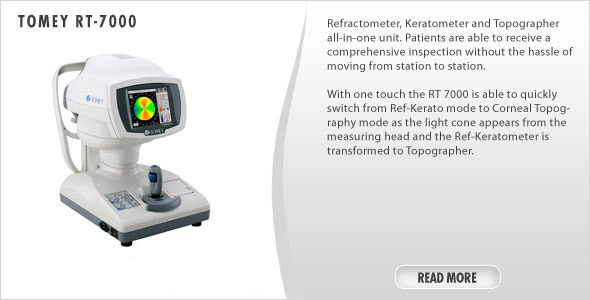 Whether you are looking for the latest technology or seeking to save money by purchasing used opthalmic supplies, you can trust K & R Ophthalmic Service to provide high quality equipment for the benefit of you and your patients. Why should you trust your business to K & R Ophthalmic Service? -- Family owned and operated, we have been serving the needs of the ophthalmic community for over 30 years, providing high quality optometry equipment and supplies you can trust. 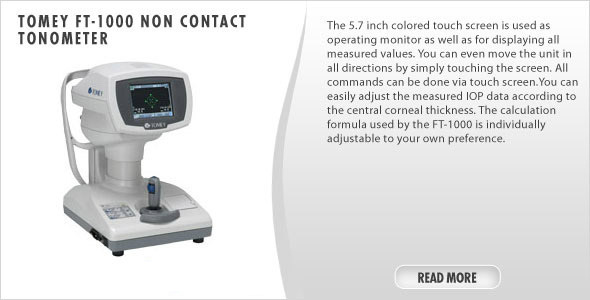 -- We offer an excellent service department, which provides top-notch service and reconditioning for every type of ophthalmic equipment. -- We ship out our orders quickly, usually within 24 to 48 hours. If this cannot happen due to circumstances beyond our control, we will do our very best to get your product to you as soon as possible. Should this happen, we will communicate with you every step of the way. -- Our products are shipped via UPS, another quality company with a stellar customer service record and reliable delivery options. In addition to selling equipment and supplies individually, we also offer specialty packages, which are especially helpful for a professional who is just establishing his office. 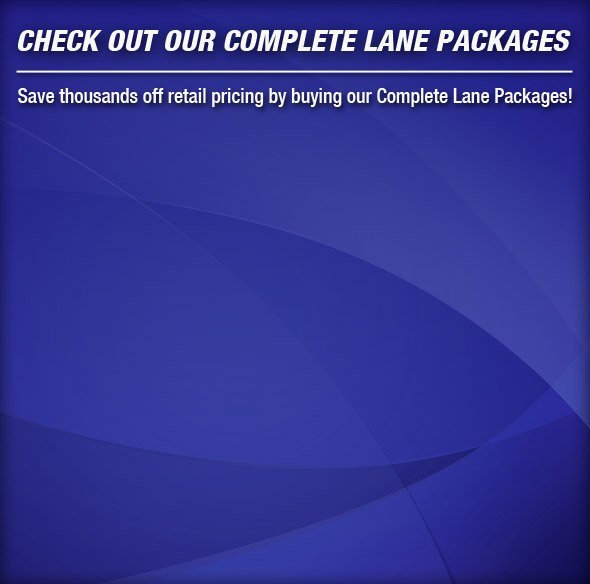 By taking advantage of these packages, your clinic can save even more money off our already competitive prices. Just like you, we have a vested interest in providing excellent customer service. And we are also highly concerned about the health and well-being of your patients' eyesight. We stand behind every piece of equipment we sell. Your patients trust their eyes to you -- and you can trust their eyes to K & R Ophthalmic Service. Based in Franklin, Indiana, we believe in running our business like a small-town store front. We will take your orders and requests seriously and do our very best to provide you with everything you need to run your practice efficiently. Whether your order includes large items like ophthalmic chairs and stands or you need something as small as ophthalmic light bulbs, your order will be handled with the utmost in care and quality service. We value your business and look forward to working with you time and time again! Browse from our excellent selection of Exam Lane Packages, Ophthalmic Chairs & Stands, Phoroptors, Foreign Body Removal Kits, Tonometers, and more. K&R Ophthalmic Equipment sells new and used ophthalmic equipment and supplies to optometrist, opticians and ophthalmologists. 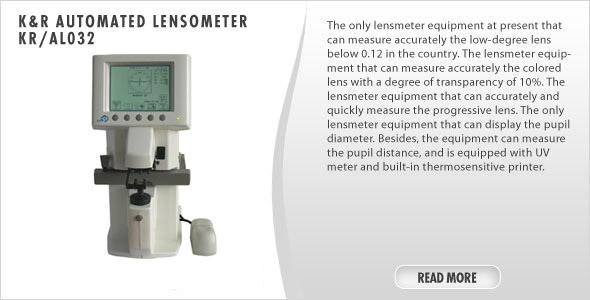 We offer ophthalmic equipment and optometry equipment including: Phoroptors, Tonometers, Slit Lamps, Keratometers & Topographers.